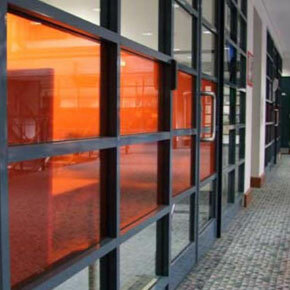 All Aussie Aluminium and Glass uses the finest products available on the market. Whether you’re looking to create something elegant or going for a unique installation, we’ll custom build a package to meet all your specific needs. Our professional staff will answer all your questions and help you make the right decisions. 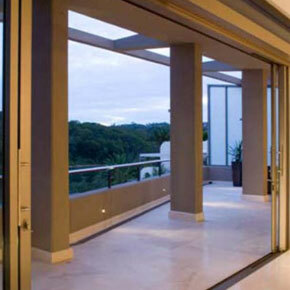 The Commercial Sliding Door range from ALSPEC has been designed with Australia’s unique architecture and climate in mind. The door allows architects and designers the freedom to achieve large expansive openings without the need to compromise on performance or aesthetics. The Derwent 76mm x 35mm Centre Pocket Framing is an ideal economical fixed glazing suite for both internal and external locations. Suitable for residential entrance ways, arcades, glass partitions and offices, the Derwent is the lightest and most slim line of the multi-purpose ALSPEC Architectural Suites. With it’s straight cuts and pocket glazing the Derwent not only looks good, but is easy to fabricate and easy to install. Designed with large floor to ceiling applications in mind, the Hawkesbury Multi-Fold Door Range combine full sized commercial perimeter framing with specially designed commercial door stiles. 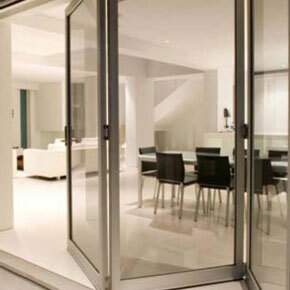 A functional alternative to traditional door units in commercial and residential applications the Hawkesbury E2 and E3 Door Range removes the barriers to allow flow between indoor and outdoor living.